​​Social media is a powerful tool for scientists to share their findings, but not everyone is comfortable with its use and sometimes there are genuine reasons why someone may not want their research publicised, yet. 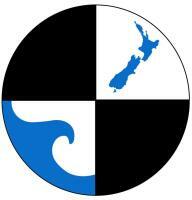 As a result, we have prepared the following guidelines for using social media during the NZFSS conference in Nelson. Of course you don’t have to wait until December to start tweeting – the conference hashtag is #NZFSS2018. If you want recognition, give tweeters the deets. Provide your details on your cover slide/poster. If you don’t want your presentation broadcast to say so. Use Image 1 on your cover slide/poster and/or any other slides containing information you don’t want shared. If you are happy to share information but would prefer to do so in person say so. Use Image 2 on your cover slide/poster. If you have more to share, use a QR code or share a webpage link. 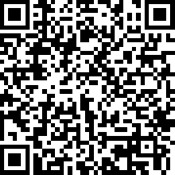 You can prep a take home message tweet for others using a QR generator online like this one: http://goqr.me/. Check out Image 3. First and foremost, think before you tweet! We want all attendees and non-attendees to have a positive experience of the conference. Don’t write anything that you wouldn’t say kanohi ki kanohi (face-to-face). Be generous with compliments. New to tweeting? Here’s an example of how you might reference a presentation at the conference: #NZFSS2018 @scientist of @Uni: shows Maitai stream restoration success! Be kind and question/comment about the research and ideas, not about the person or mode of presentation. Direct quotes get “quotation marks”. Other people’s words belong to other people. 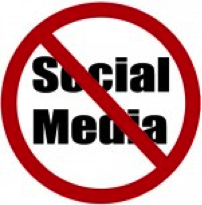 Be respectful of presenters’ requests for no social media coverage. Always ask permission before posting images of people, figures or tables with data. Have fun! And help build a positive community within the Society.